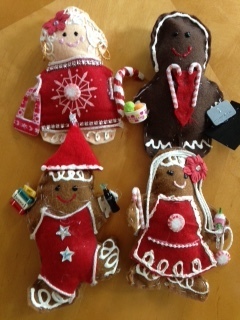 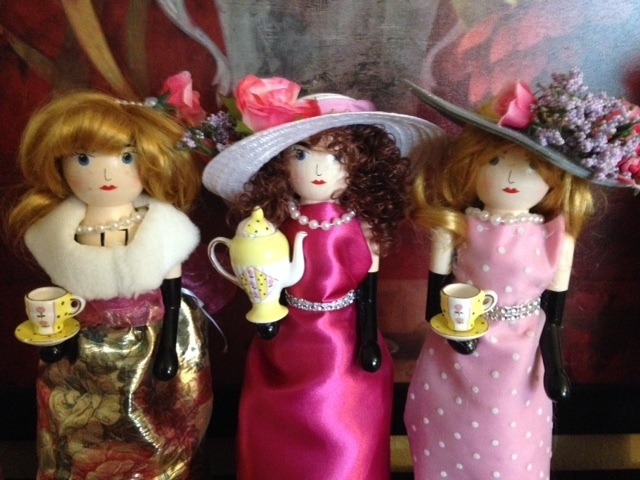 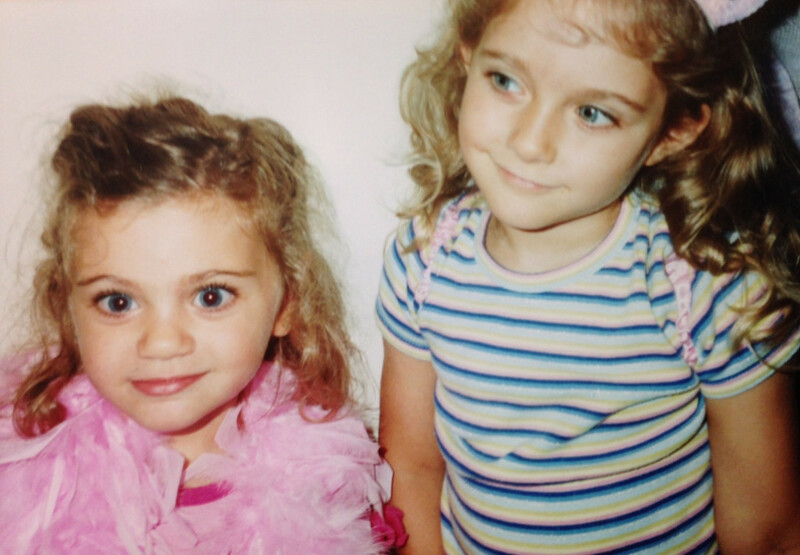 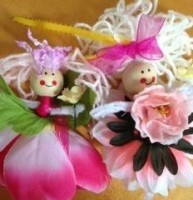 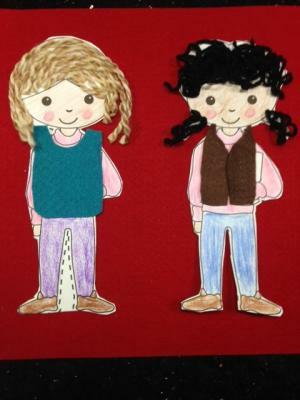 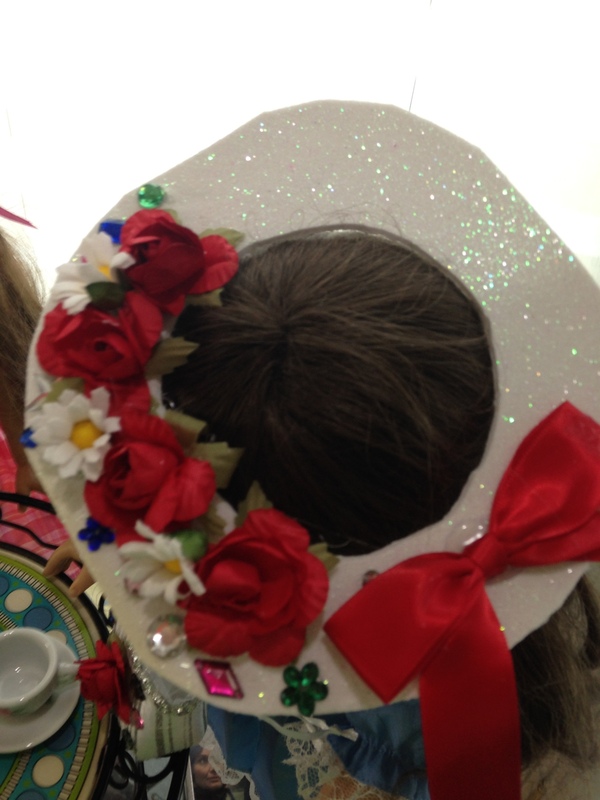 +We are making doll hats- bring your own doll or order a Fancy Girl Doll. 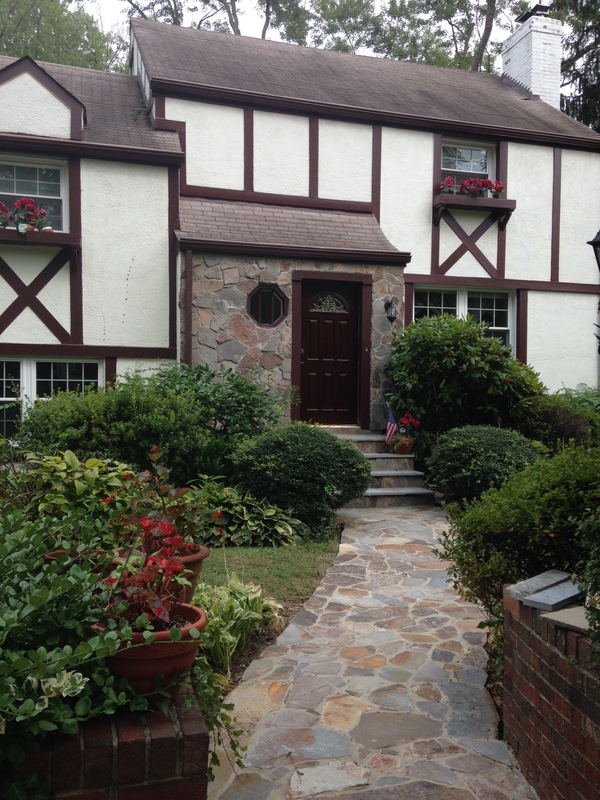 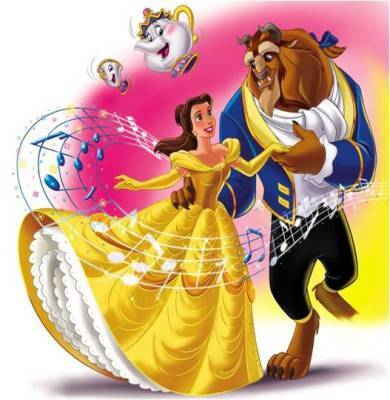 Keep the party going at home ! 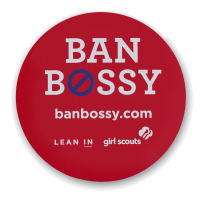 ​​Email [email protected] to order when you register and pick up at the event. 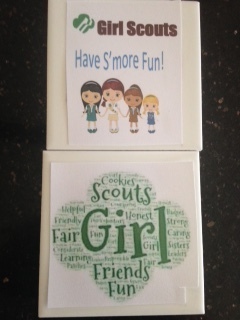 Girl Scout's are S'more Fun! 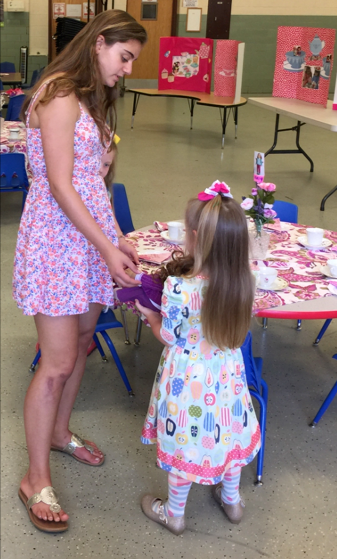 End of Year, Bridging, Awards Celebration! 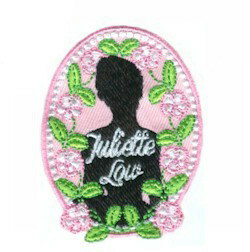 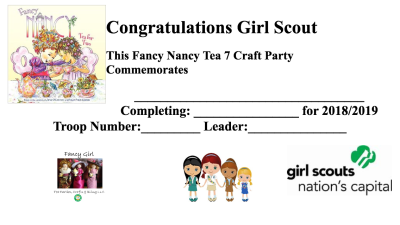 Girls choose from among several crafts such as keepsake boxes, Cookie Cuties felt pins, magnets, or hair clips, Girl Scout notebooks, GS Law frames, paper dolls, and coasters. 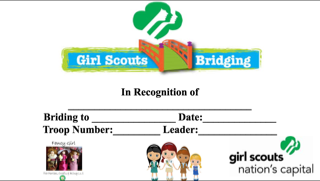 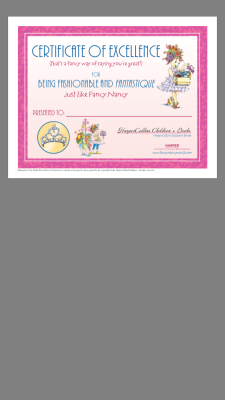 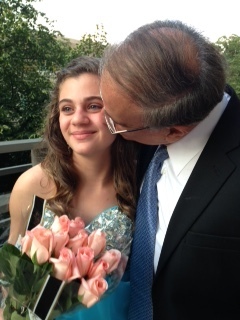 Beautiful Completion/Bridging Certificates free with troop registration before May 15. 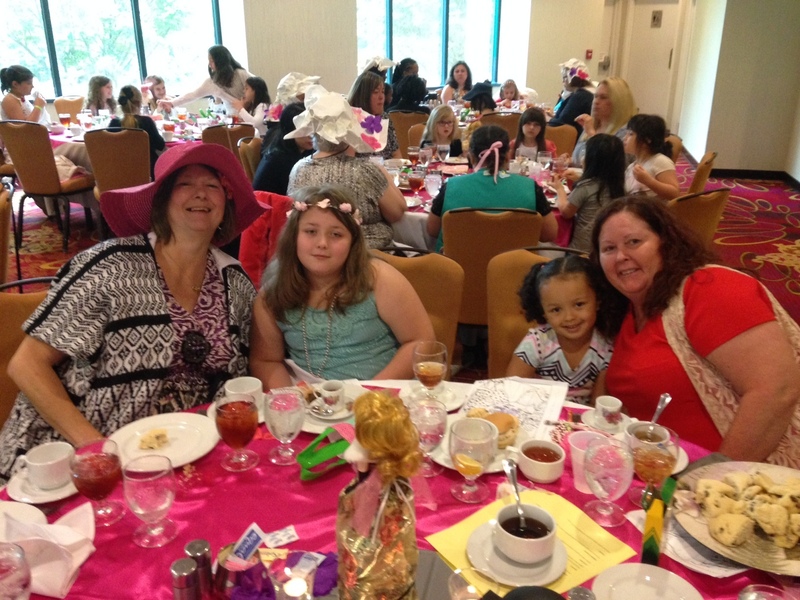 Mothers, Grandmothers, Aunts, Sisters, Friends, and Girls of all ages had a fabulous time Celebrate Mother’s Day together. 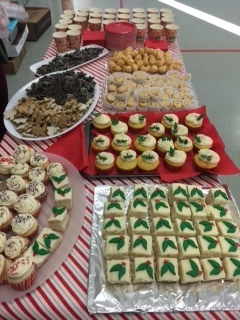 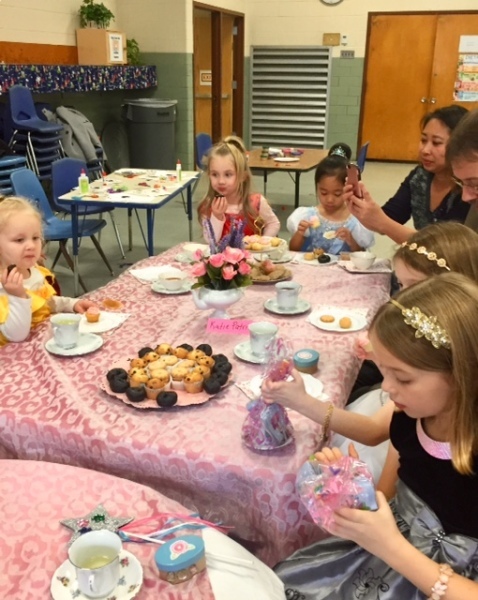 Weenjoyed a mini tea party of scones, strawberries, cup cakes and other sweet treats. 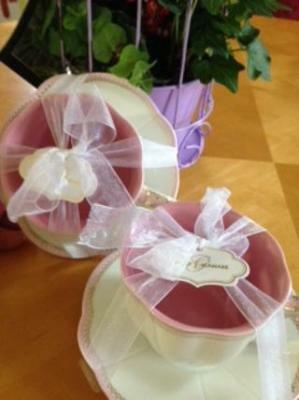 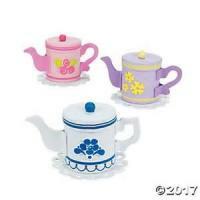 We crafted mini tea pot boxes, lavender sachets and special Mother-Daughter Journals. 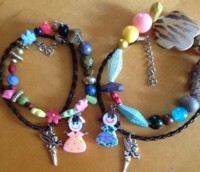 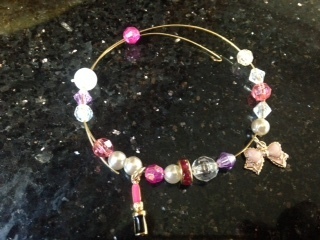 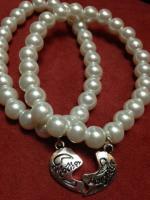 Everyone received a faux Pearl Mother or Daughter Charm BraceletGirls selected and wrapped Mother's Day Gifts. 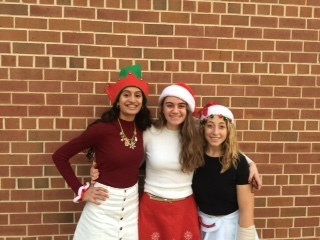 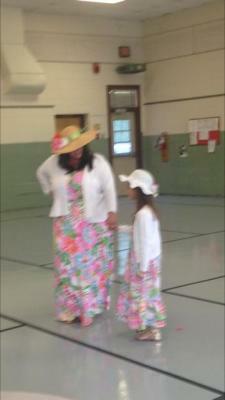 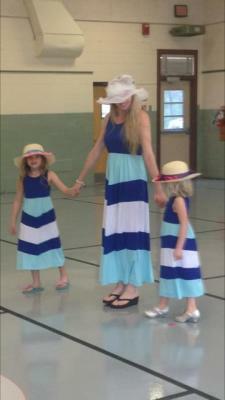 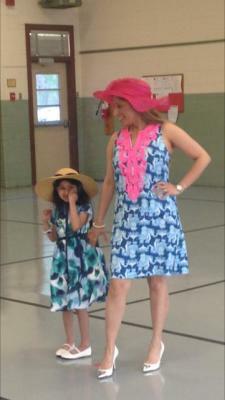 Finally, Girls and Moms showed their style in our Fancy Girl Fashion Show! 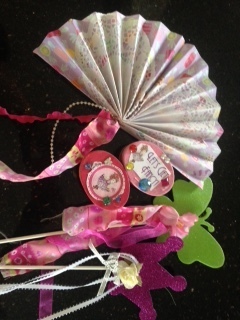 Plus these crafts are BEAUTIFUL! *Craft Beauty & the Beast inspired crafts and jewelry. 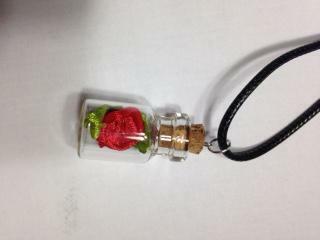 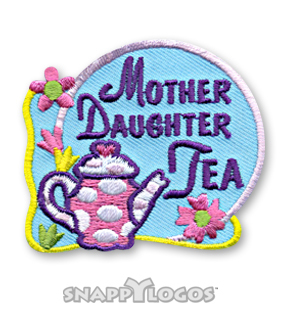 *Girls receive Rose Vial Necklace and Tea Party Patch. 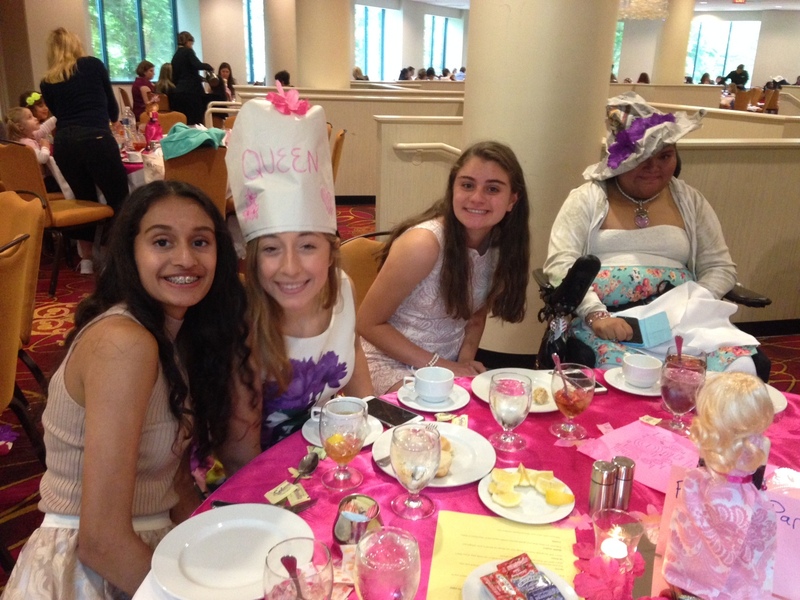 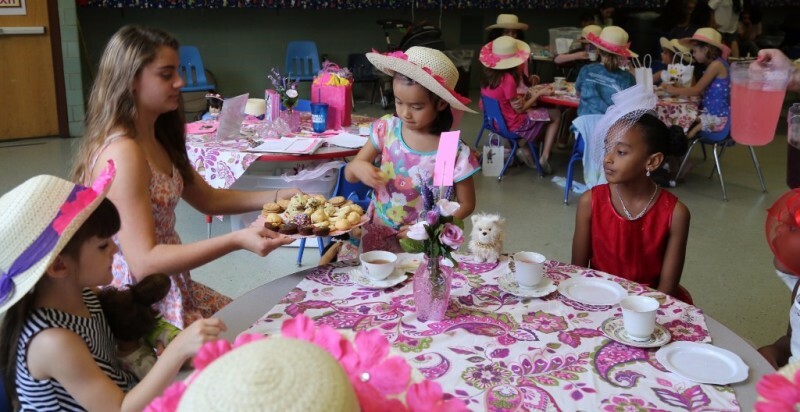 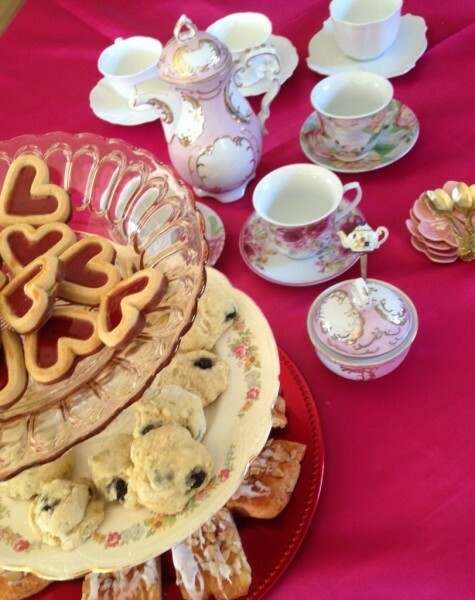 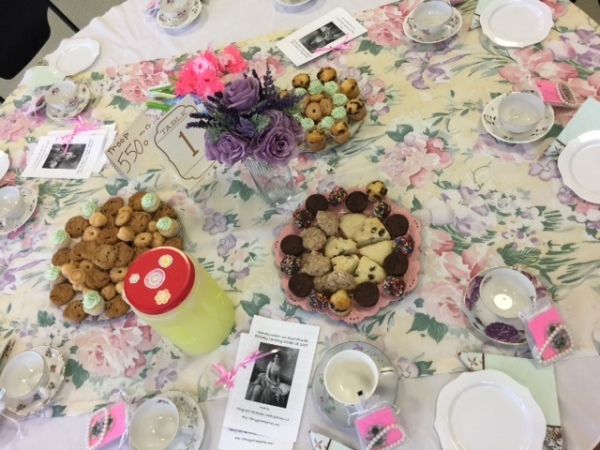 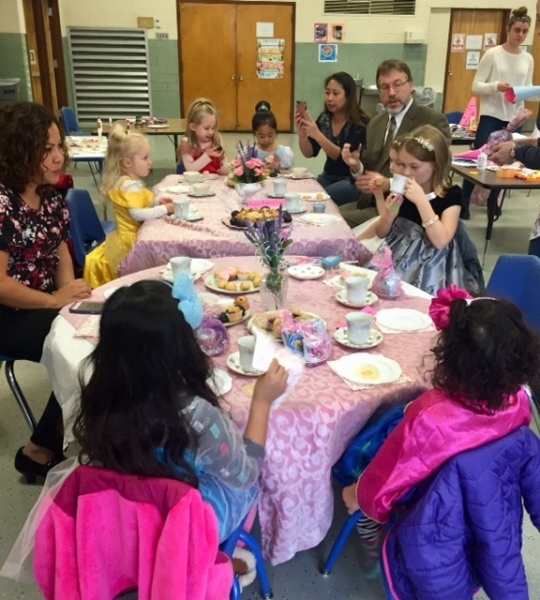 Girls had lots of fun enjoying a mini tea party with fancy table settngs, real china and raspberry iced tea, strawberry lemonade, rose scones, lavender cookies, and more. 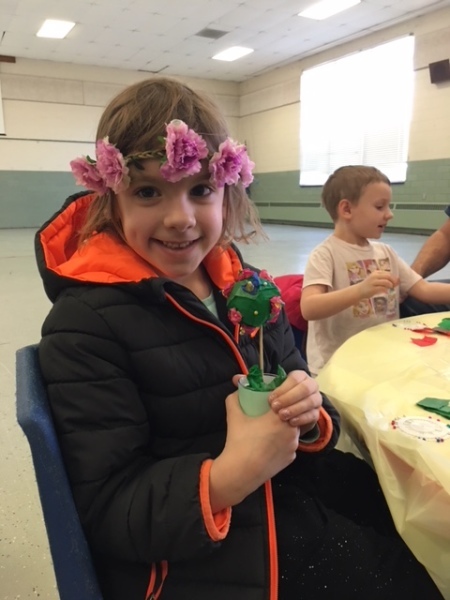 They crafted beautiful fairy wands, flower fairies and topiaries; all while earning badges and learning all about flowers and senses. 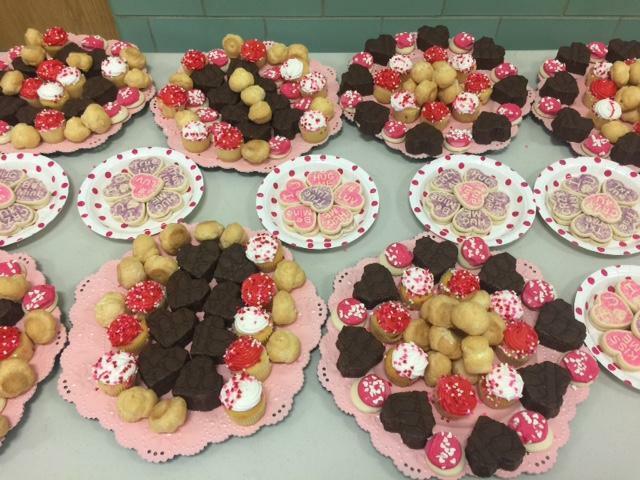 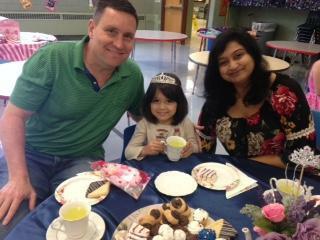 We had a great time celebrating Valentine’s Day with music, crafts, badge earning activities and a fancy mini tea party! 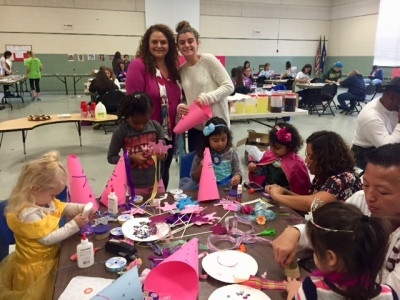 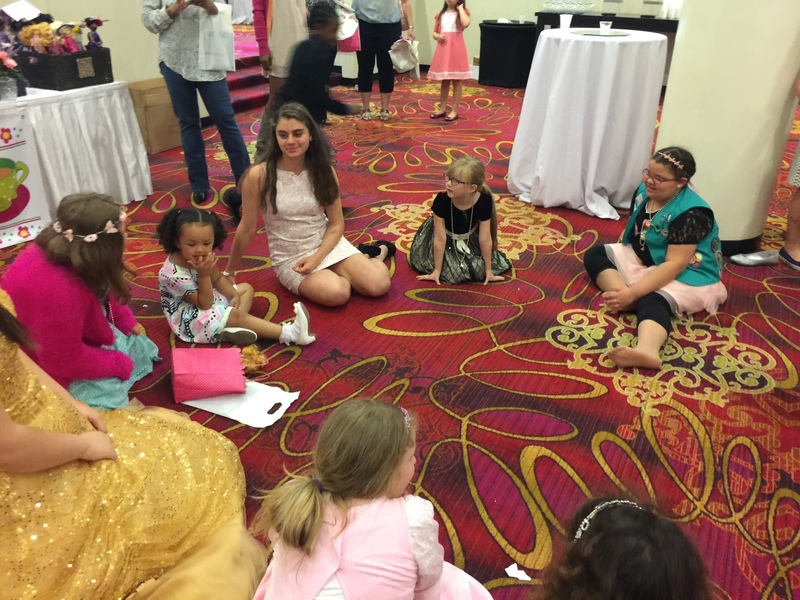 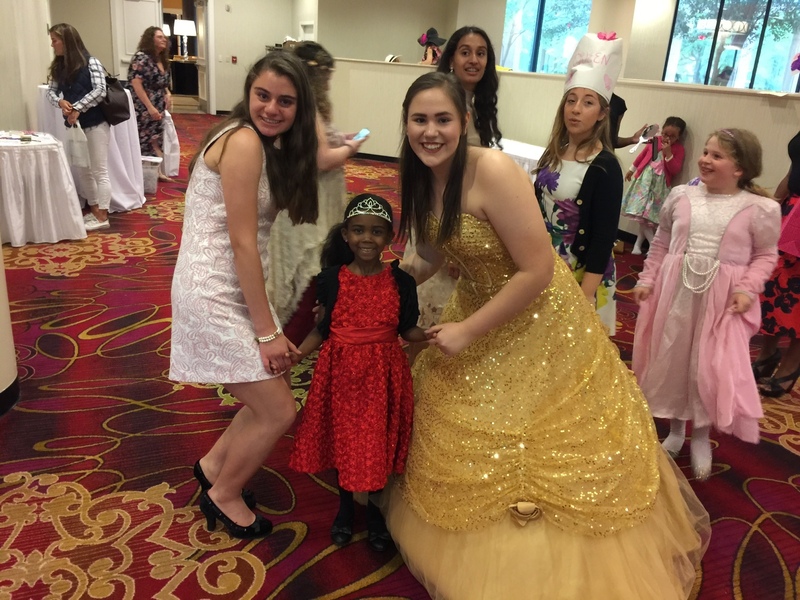 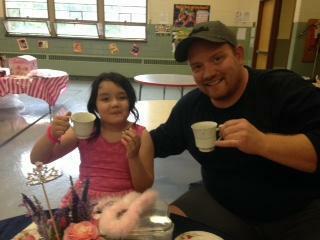 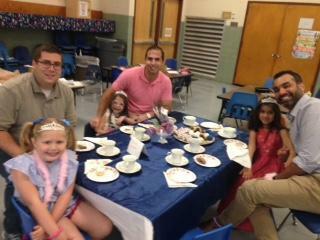 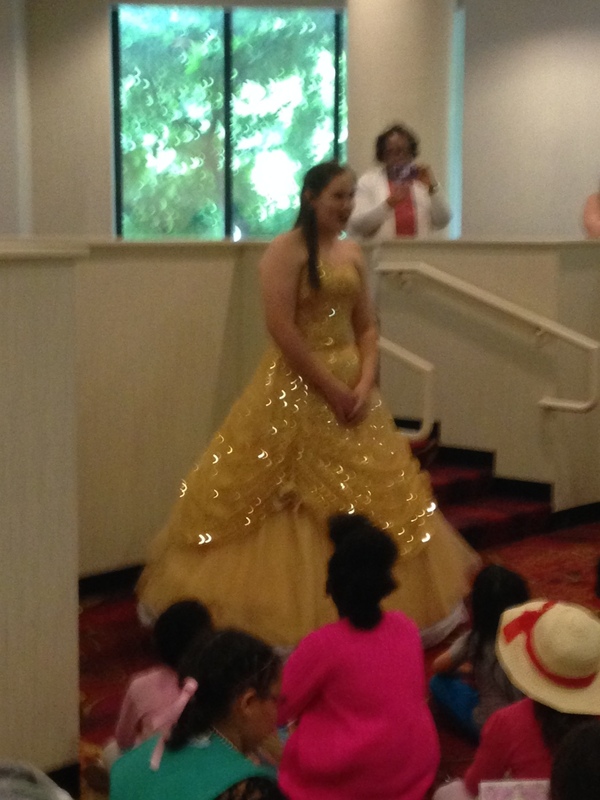 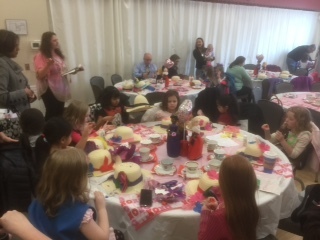 Girls had a blast with family and friends making princess crafts and having a tea party! 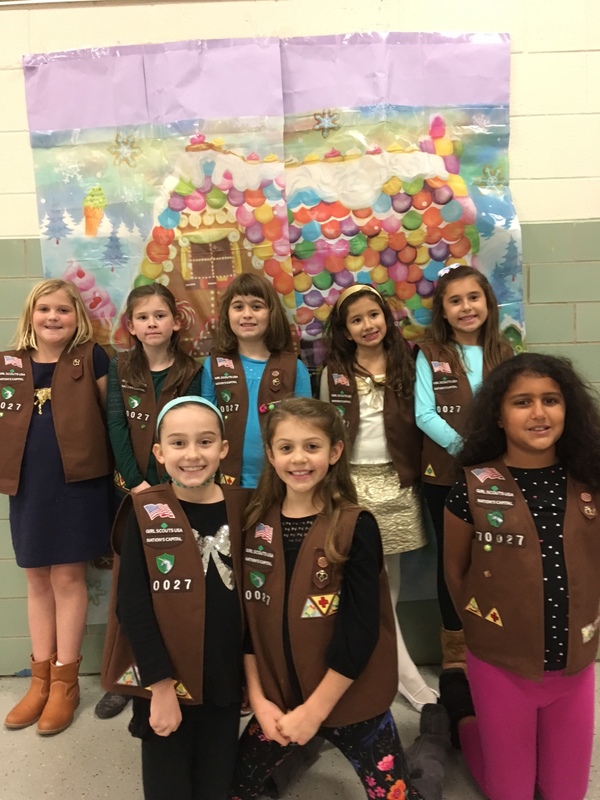 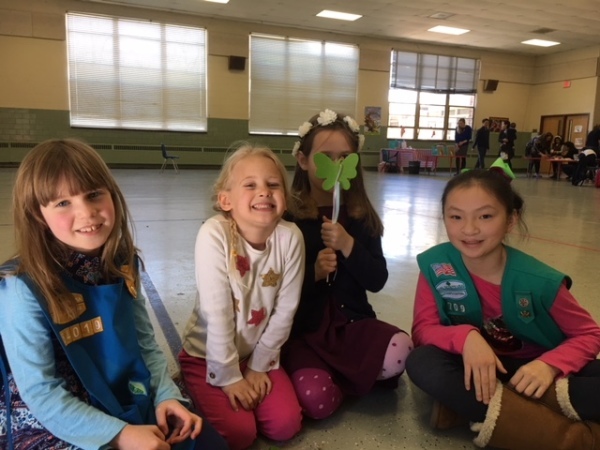 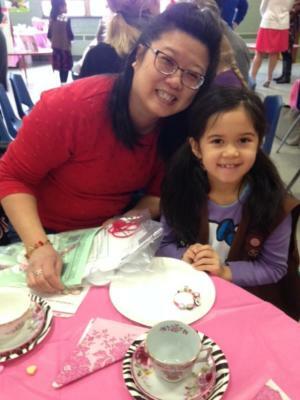 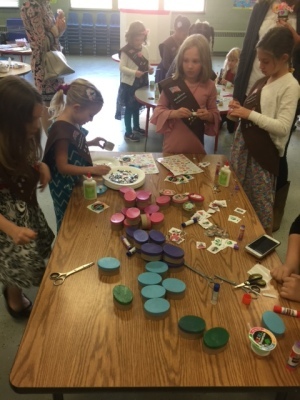 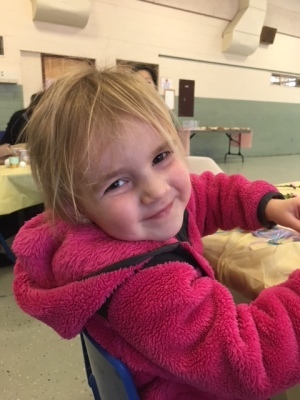 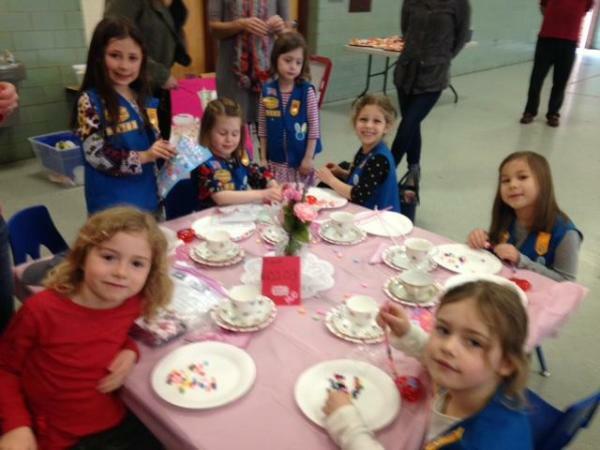 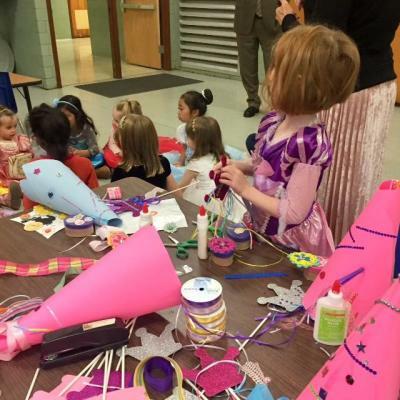 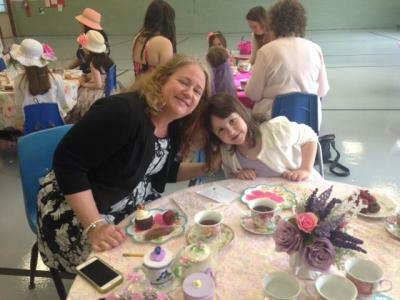 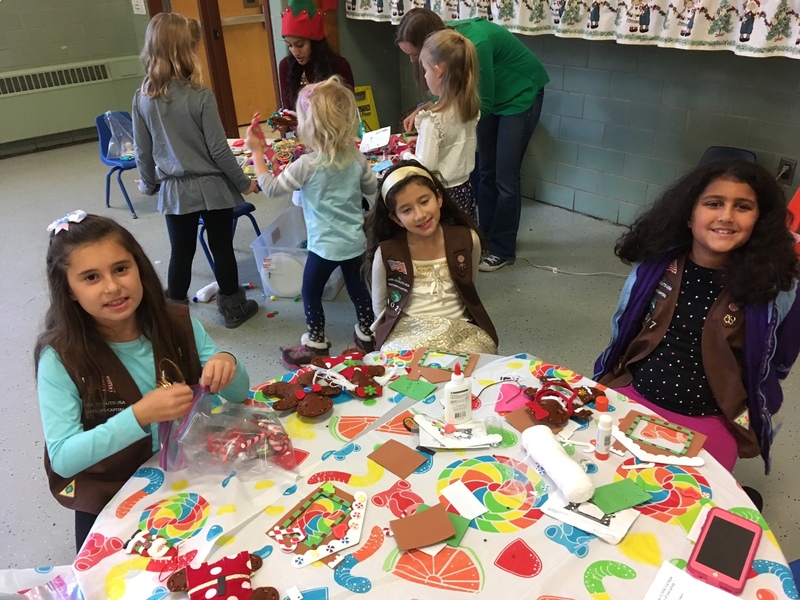 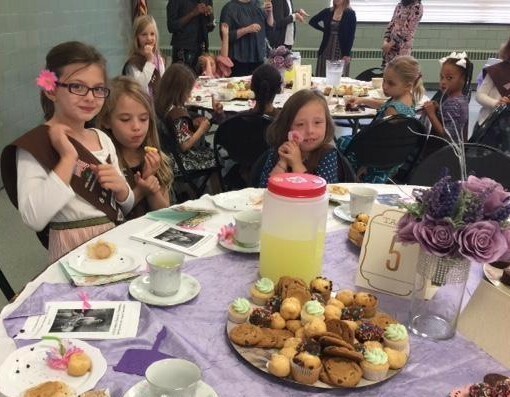 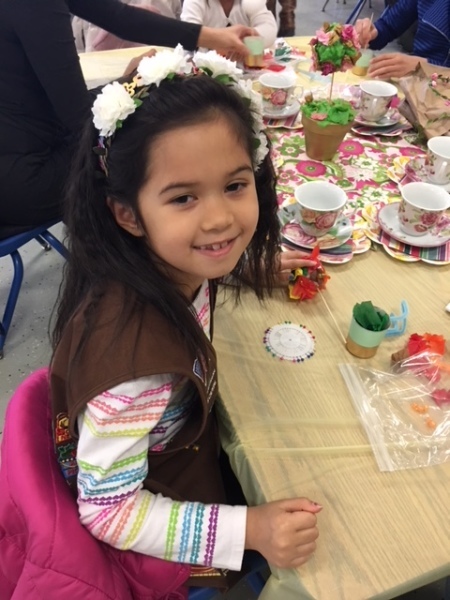 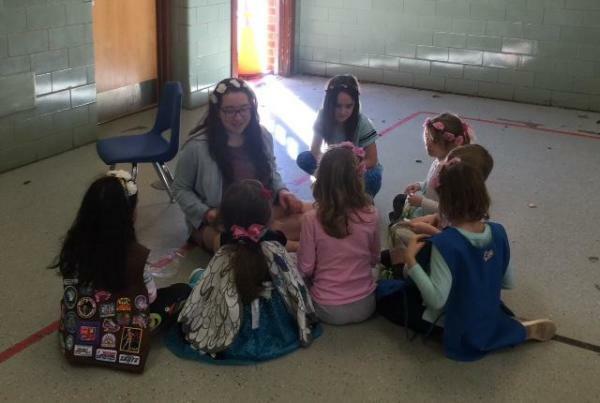 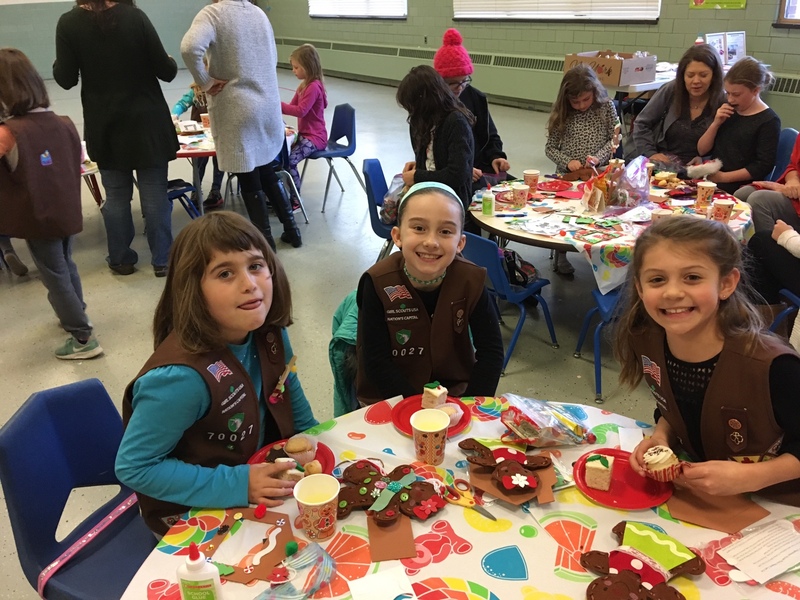 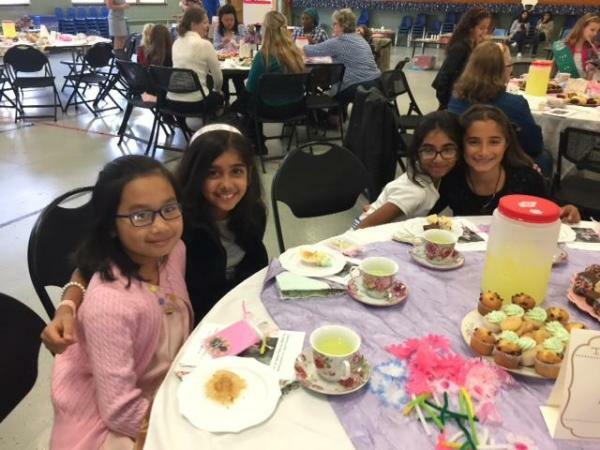 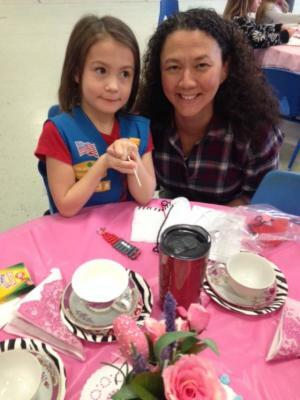 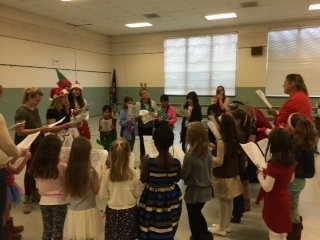 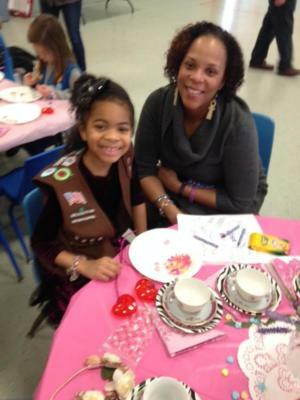 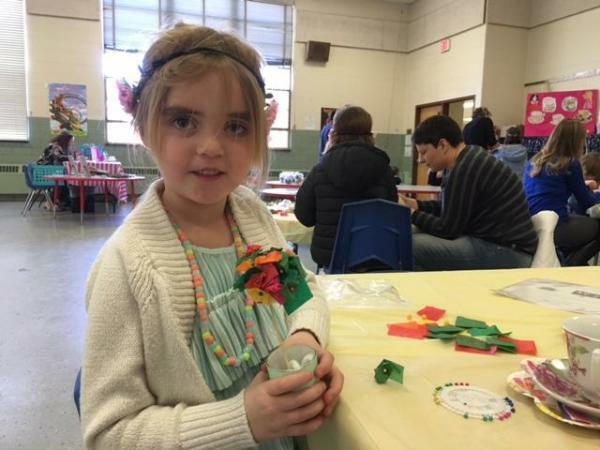 Girls celebrated Girl Scout founder, Juliettet Gordon Low's Birthday with a mini tea party, crafts and activities- and they earned the Girl Scout Way badge. 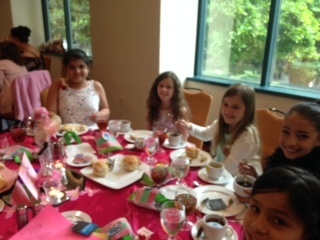 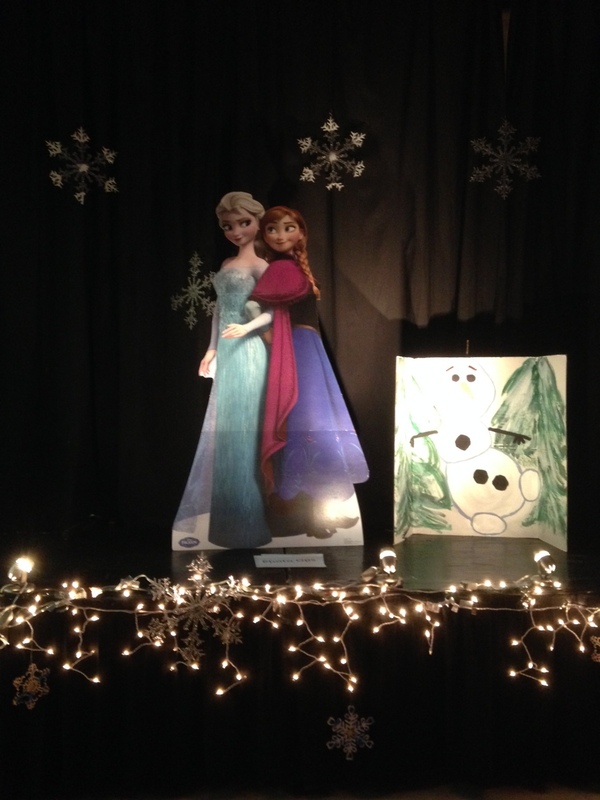 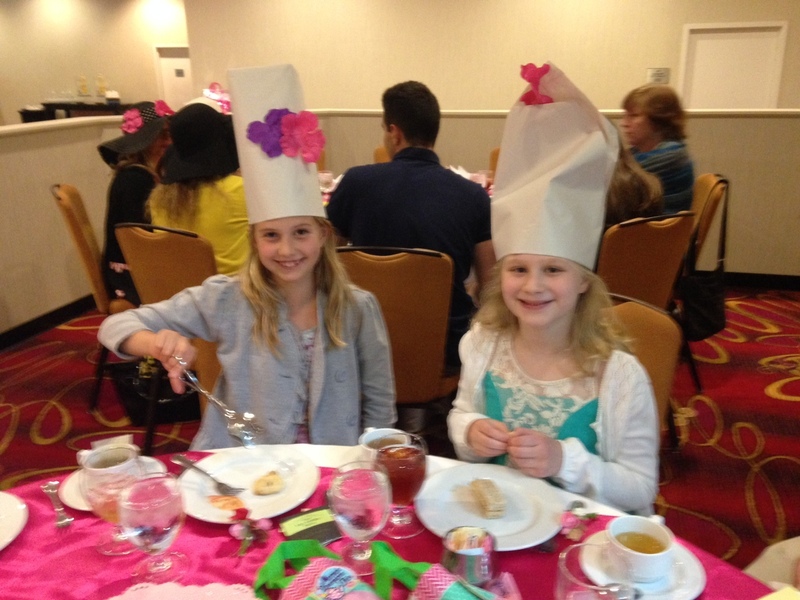 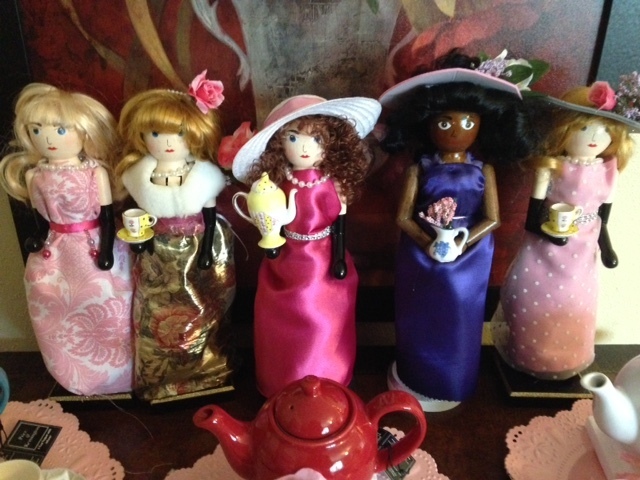 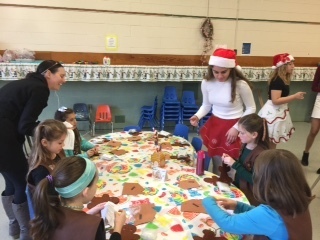 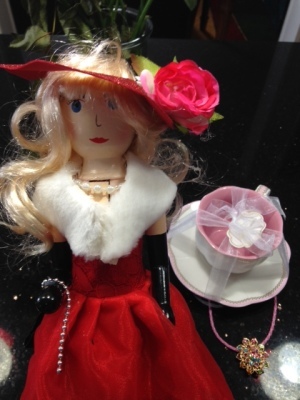 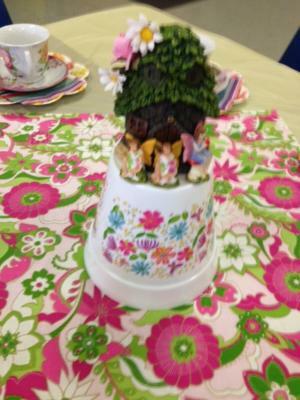 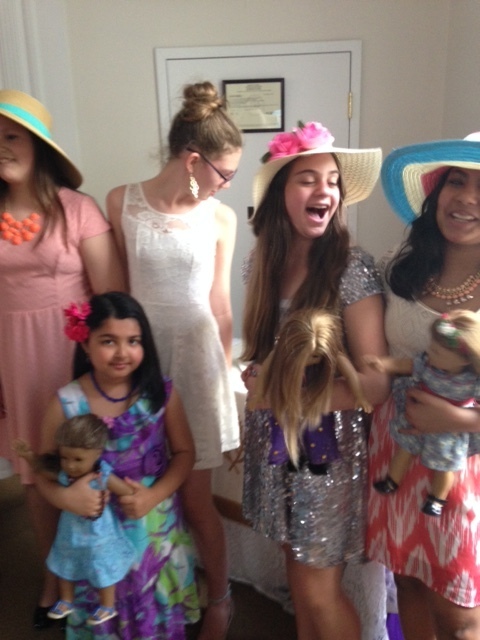 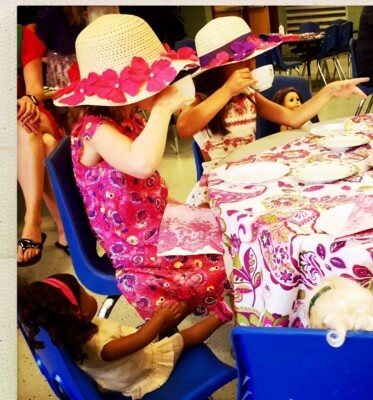 Girls dressed fancy and enjoyed a fun tea party with their dolls, crafting and completing Girl Scout badge work. 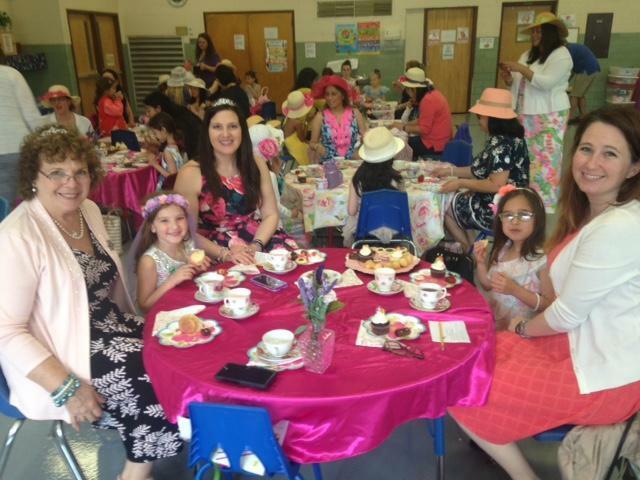 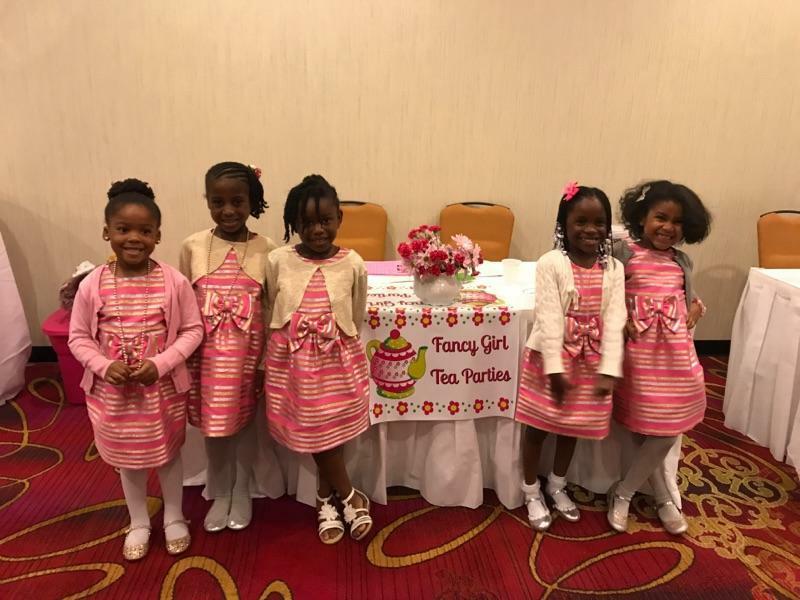 ​Mothers, Grandmothers, Aunts, Sisters, Friends, and Girls of all ages were invited to dress fancy and Celebrate Mother’s Day in style. 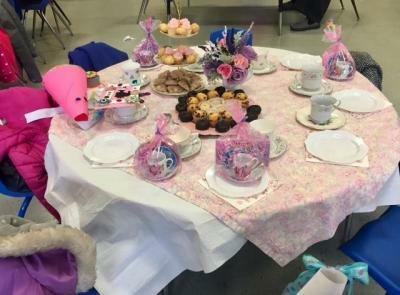 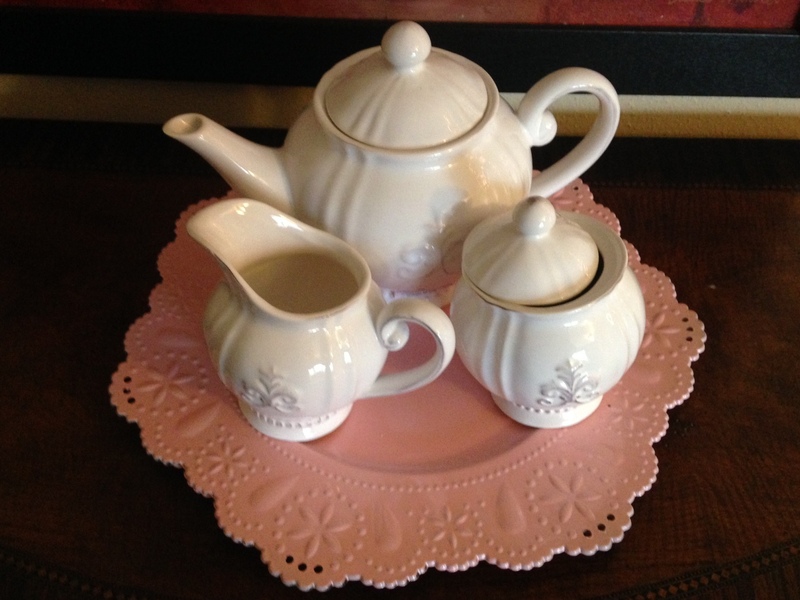 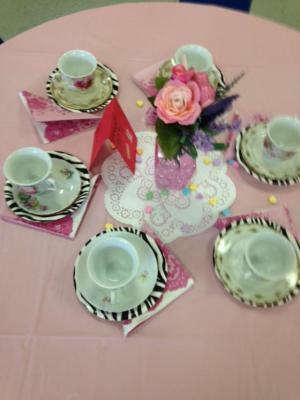 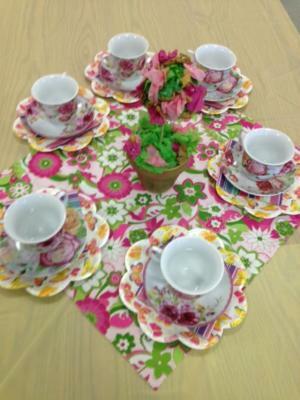 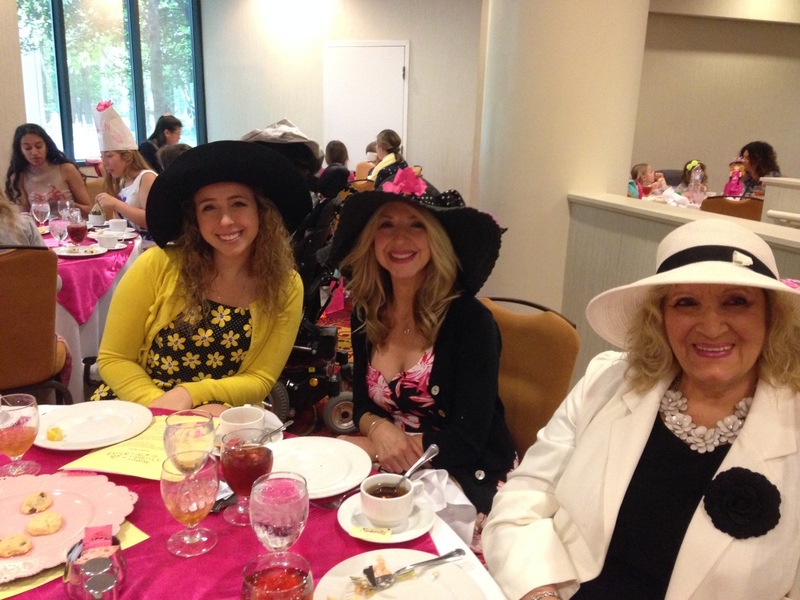 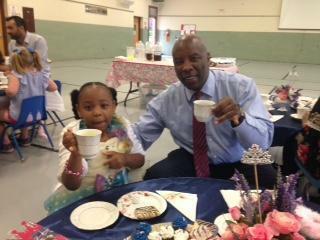 Girls of all ages, and their familes, are invited to attend a variety of Themed Tea Parties held in North Virginia. 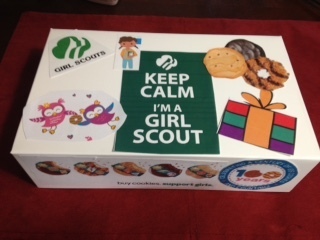 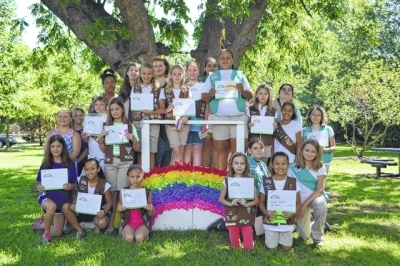 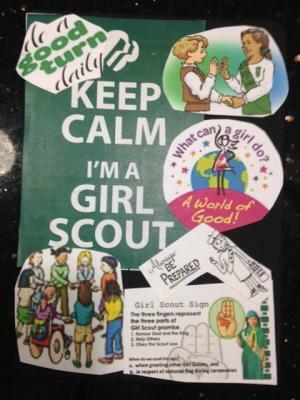 You don't have to be a Girl Scout to attend but Girl Scouts receive discounts. 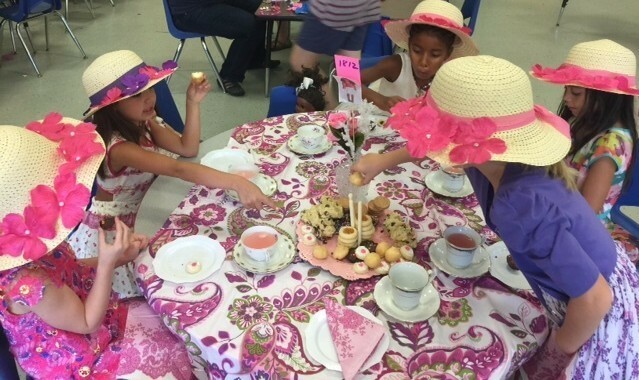 Themed Tea Parties are always a unique and memorable affair. 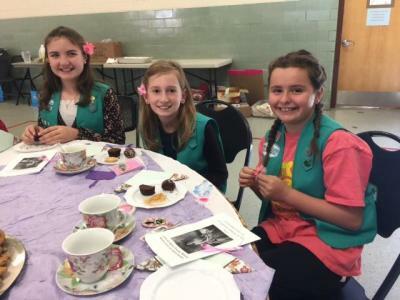 You'll want to attend them all! 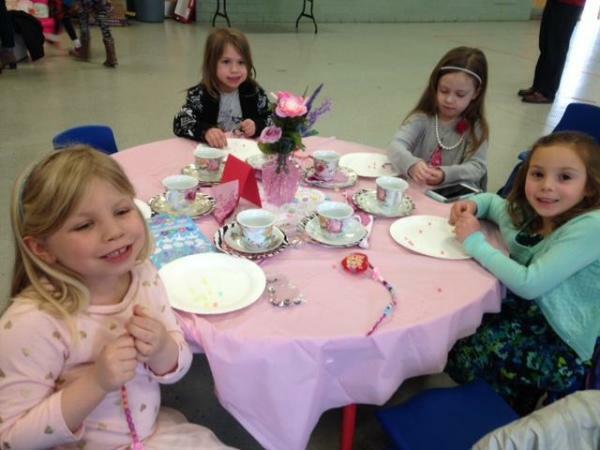 Fancy dressed ladies and handsome suited gentlemen should arrive at our party location in style and ready to have fun. 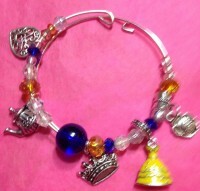 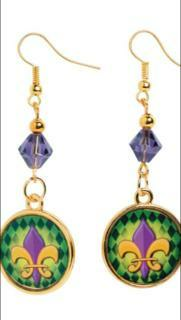 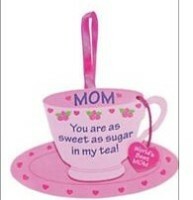 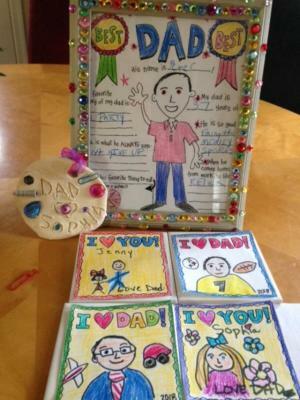 ​Themed gift Items also for sale at our Fancy Girl Craft & Bling Gift Shop.